Cookie Jam Blast is a delicious new match 3 puzzle game with hundreds of fun cookie themed puzzles and tasty candy treats! Match cookies with Chef Panda in a new puzzle adventure. 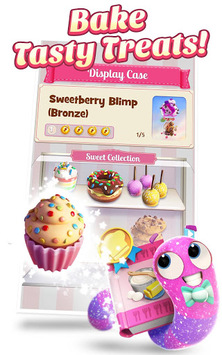 Swap, match, and crush candy and cookies to craft tasty combinations. 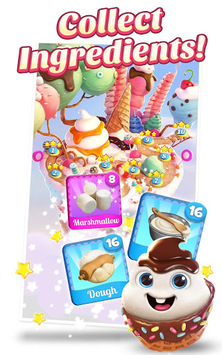 Blast through fun new puzzle modes, with new characters and delicious cookies! Craft tasty recipes with Chef Panda, swap pieces to crush puzzles, and collect ingredients to make delicious cookies and candy in your bakery! 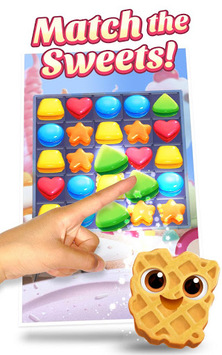 Blast through tasty candy puzzles in this delicious match 3 game! Download Cookie Jam Blast today and satisfy your cravings!